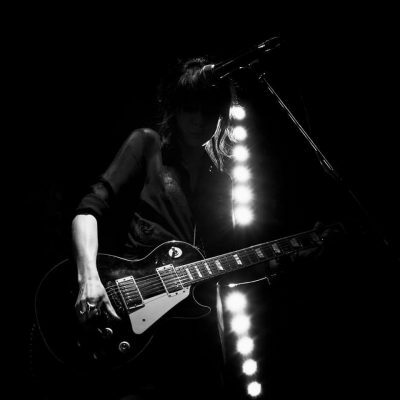 Australian guitarist SUZIE STAPLETON has a new single out this week, and she’s premiering the video exclusively with Vive Le Rock! Described by the Melbourne musician as “an isolated protest in an oversaturated world where the powerful feed on the powerless,” ‘Negative Prophet’ was recorded and produced by Stapleton with the help of guest bassist Fred Lyenn Jacques of MARK LANEGAN’s band. Set for release on Thursday 22 February, the single will be available as a FREE download from www.suziestapleton.com. Since relocating to the UK in 2015, the Melbourne musician’s been working hard making a name for herself, sharing stages with Lanegan, MICK HARVEY and JIM JONES & THE RIGHTEOUS MIND, as well as appearing at Camden Rocks. Currently touring Australia, she plats dates in the Czech Republic and France before returning to London for a show at The Finsbury, Manor House on 11 May. Full dates are…. ‹ GINGER PAYS IT FORWARD!